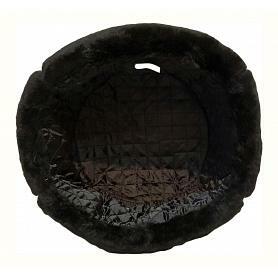 Black faux fur ushanka hat. 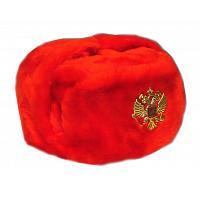 Replica of the traditional Soviet and Russian Army winter hat. Fabric: synthetic (acrylic) fibers. Can be worn with ear flaps tied above the hat crown, below the chin or behind the neck. Hat badge may vary and is included unattached. Imported from Moscow, Russia. Ships within 5 business days.